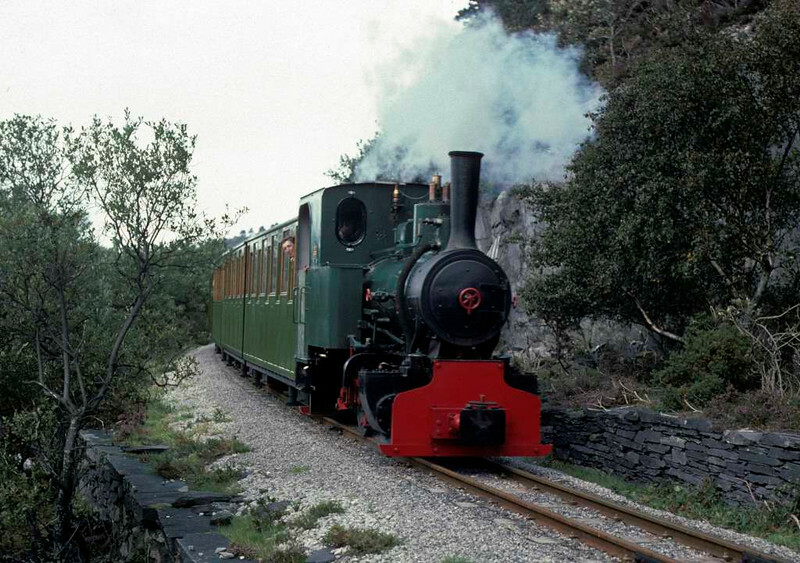 Cyclops, Llanberis Lake Railway, 28 September 1975. The Jung 0-4-0WT (7509 / 1937) heads towards Gilfach Ddu. This loco subsequently moved to the Strumpshaw Steam Museum, Norfolk, where it remains in 2016. It has been renamed Ginette Marie. Photo by Les Tindall.